BANG! : The Walking Dead - 43% Off! "BANG! 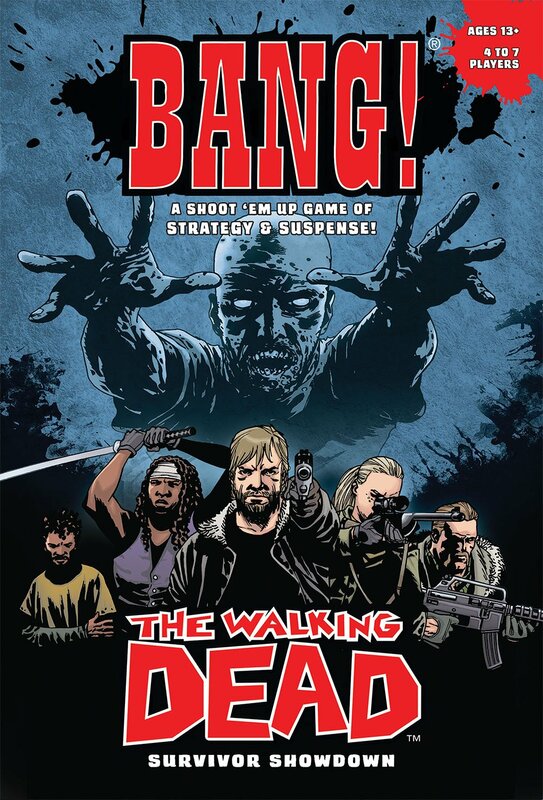 : The Walking Dead is a shoot 'em up card game based on BANG! in which factions from The Walking Dead face off in a battle to survive. Each player becomes a famous Walking Dead character while taking on the roles of Leader, Savior, Survivor, or Loner. BANG! : The Walking Dead is interchangeable with the original BANG! game and plays much the same way. Players try to determine who is on which teams, then use their cards in hand to attack others and heal themselves, ideally ending up with their team on top." 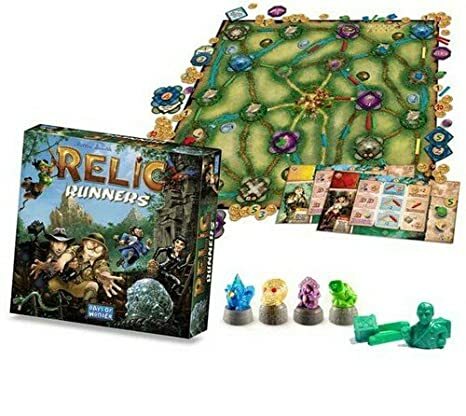 Relic Runners - 35% Off! Each time a player visits a temple, he takes a token. Initially the temples offer up victory points or some form of in-game bonus. When the final token is taken, a relic is placed there to be collected. The players earn large victory points for collecting relics of different types (set collection) and players can also earn bonus points for creating long routes and traveling along these to collect relics."" 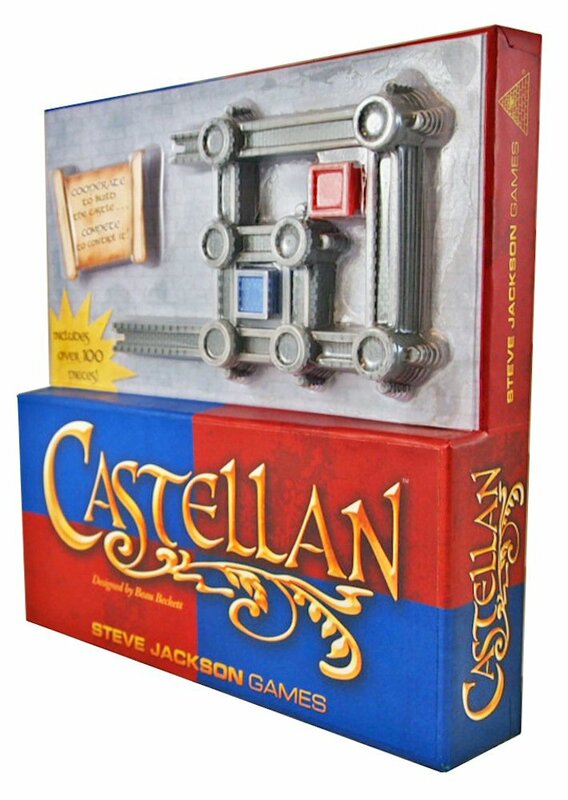 "In Castellan, two players work together to build a castle. Finely-detailed wall and tower pieces link together to form courtyards, and the player who finishes a courtyard claims it with a Keep, scoring points for that courtyard equal to the number of tower pieces surrounding it. Two different pairs of Keep colors are available in the two versions of Castellan, so with two copies of the game – and the right combination of bits – up to four players can play." Progress: Evolution of Technology - 40% Off! 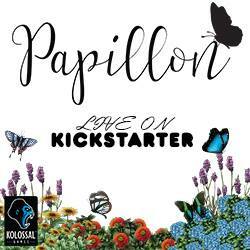 "Progress: Evolution of Technology is a card game about researching technologies. Each player takes his civilization from early antiquity and learns various technologies, moving progressively to the Middle Ages, the Industrial Revolution, and Modern Times and ending with today's Internet or Social Welfare. 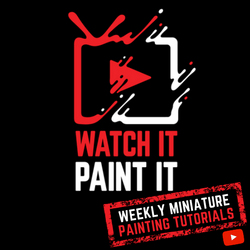 The game play is streamlined, with players usually taking two actions, thus making each turn short and ensuring that you use the time when the others are playing for planning rather than seeing it as downtime." Planet Steam - 55% Off! "Welcome, dear Imperialists. It's the year 2415. The interplanetary federation (IPF) has done a great job in the last centuries. All necessary precautions have been taken to conquer this planet named "Steam". The core of the planet consists of a 6,500º Celsius hot source containing different resources, including water. It has taken over one hundred years to complete the first block of 42 shafts from the surface to the core. Planet Steam is a board game in which two to five players take the roles of entrepreneurs in a steampunk boomtown, racing to assemble equipment, claim plots of land, extract resources, and accumulate riches. After harvesting resources using tanks and converters, players must buy and sell those resources in a volatile and ever-shifting market. The one who earns the most income will, in the end, be victorious. However, only through shrewd resource management and clever manipulation of supply and demand can a player reign supreme!" Star Wars X-Wing Miniatures Game: Core Set - 37% Off! "Star Wars: X-Wing Miniatures Game is a tactical ship-to-ship combat game in which players take control of powerful Rebel X-wings and nimble Imperial TIE fighters, facing them against each other in fast-paced space combat. Featuring stunningly detailed and painted miniatures, the X-Wing Miniatures Game recreates exciting Star Wars space combat throughout its several included scenarios. Select your crew, plan your maneuvers, and complete your mission! The Star Wars: X-Wing starter set includes everything you need to begin your battles, such as scenarios, cards, and fully assembled and painted ships. What's more, Star Wars: X-Wing's quick-to-learn ruleset establishes the foundation for a system that can be expanded with your favorite ships and characters from the Star Wars universe." 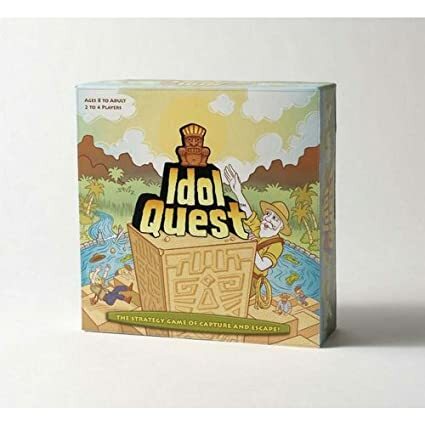 Idol Quest - 57% Off! "Enter a Mysterious Land of 3D Adventure! In the middle of a lake deep in a jungle, a centuries-old Idol sits atop an ancient tower. It’s a race to see who will be the first player to build a path across the lake and up the tower, seize the priceless Idol and escape to a waiting boat. But dangers lurk on every turn -- your opponent might block your escape route or steal the Idol from you -- or even bury your Explorer under a stone block! Using a team of Explorers and an array of action cards, place blocks across the lake to create a 3D path to the top of the tower. With each roll of the die, your Explorers get closer to the Idol. If you draw the right card, you can leap ahead of the other players, steal an opponent’s card or send a player back to the start. But the game can change in a heartbeat -– your Explorers might be stranded on the shore or buried beneath a block -- so every move requires strategy and planning. The first player to reach the top of the tower, capture the Idol and escape to a waiting boat wins. Idol Quest TM is fast-paced fun for the entire family!" "In an age of great battles, valiant leaders, and unscrupulous mercenary armies, fortune lies within your grasp. 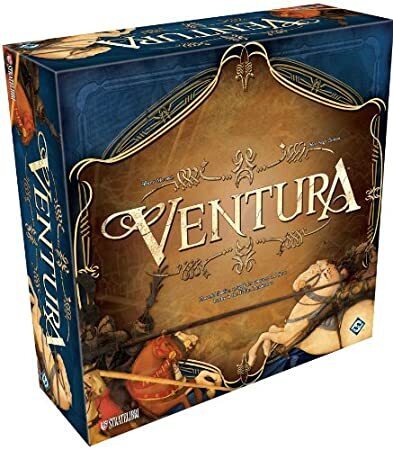 Ventura is a board game of nobility and conquest for 2-4 players. Set in 14th century Italy, Ventura puts players in control of warring noble houses, each vying for control of the country's growing wealth. Balance your house’s earnings and maintain your hired soldiers to keep your family’s noble standing. Remember, the best armies are also the ones that cost the most! With more than 120 plastic pieces, 40 Territory tiles, 4 Family Boards, a scoring board, and over 100 cards, Ventura will whisk players into a world of warring mercenaries and noble families, all seeking control of Italy’s burgeoning wealth." 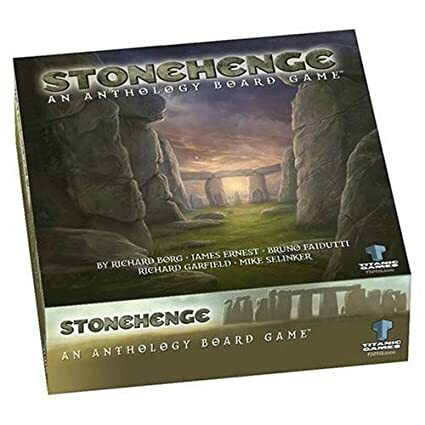 Stonehenge: An Anthology - 91% Off! From racing through the ruins to auctioning them off, these five games and other new games designed for it, will keep Stonehenge fresh for years to come. Rules for additional Stonehenge games can be found at the http://paizo.com/paizoGames/library." "In the 6th century A.D., ruled by Emperor Iustinianus (commonly called 'Justinian'), Constantinopolis was the largest emporium in the East Roman 'Byzantine' Empire. Built on the shore of the Marmara sea, at the entrance of the Bosporus (Hellispontus), its position let it take on the role of one of the most important harbors. Its quickly expanding trade and exports to close cities were great opportunities for the local businessmen to expand their riches. 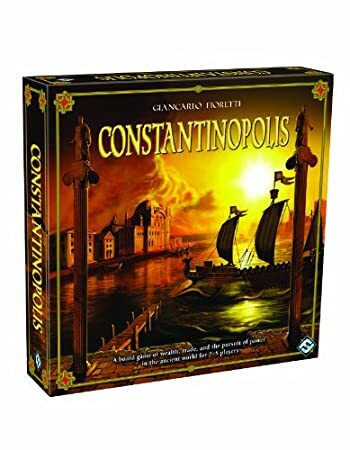 Tiles in Latin, consistent with Giustiniano's time, are both a reference to the high period of Constantinopolis and a way to make the game entirely language independent." Tash-Kalar: Arena of Legends - 58% Off! "Tash-Kalar: Arena of Legends is a game played by masters of magic. Two to four summoners encounter each other in the Tash-Kalar arena, either in teams or each on his own, and prove their skill and strategy in a short but intense battle. By clever deployment of their minions, they create magic patterns for summoning powerful beings, and then use those to destroy their opponent’s forces or to prepare patterns for the ultimate legendary beings. 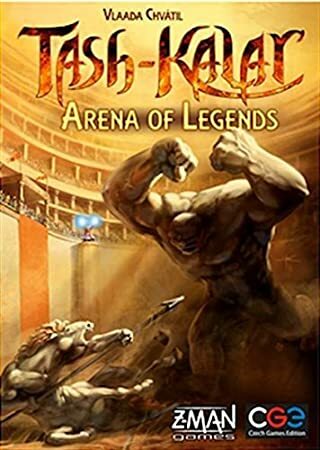 The rules of Tash-Kalar: Arena of Legends are simple and easy to understand, but as you start to discover the tactics and are able to anticipate the opponent's moves and patterns, it turns into a real clash of wits."